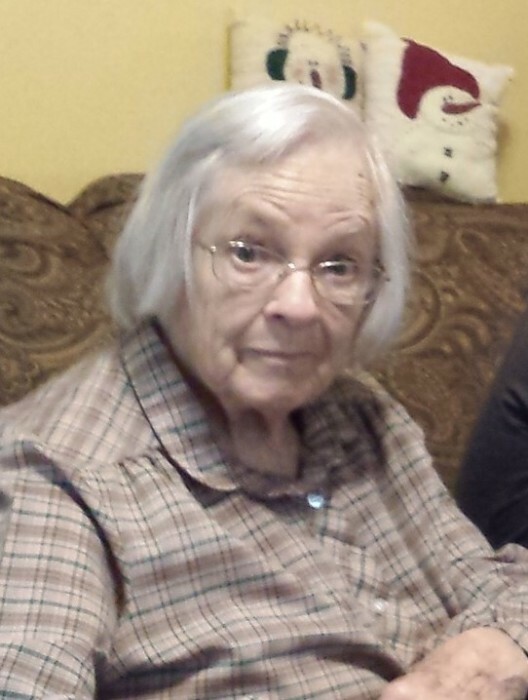 Carrie M. Palmer Buckley, 87, of Homer, passed away on May 2, 2018 in University Hospital, Syracuse. Carrie was born June 15, 1930 in Killawog, a daughter of the late John and Orpha Pollard Palmer. She was once employed at Durkee Bakery and Jay Line Togs in Homer. Carrie and her late husband, Harold Buckley, owned and operated a farm on Route 221 in Marathon for several years. In her spare time she enjoyed knitting, quilting and crocheting. Surviving are her four children, Roy (Stacey) Buckley of Homer; Dora (Raymond) Canfield of Concord, NC; Laura (Jonathan) Stone of Sugar Hill, GA and Anna Buckley of Marathon; six grandchildren, Harold Buckley of Walton; Trina (Robert) Trull of Concord, NC; Matthew (Julianna) Canfield of Tega Cay, SC; Jeremy (Sunira) Stone of Atlanta, GA; Dylan Stone of Atlanta, GA and Lindsay Stone of Sugar Hill, GA. Also surviving are four great grandsons, William Buckley, Noah Trull and Parker and Gregory Canfield; her sister, Marleata Ulery of Florida, several nieces, nephews, cousins and her precious cat, Honey. She was predeceased by her husband, Harold J. “Buck” Buckley in 2013. Funeral services will be held on Saturday at 3:00 p.m. at the Donald L. Barber Funeral Home, 5016 US Route 11, Homer. Calling hours will be held on Saturday from 2:00 p.m. until the time of the service. In lieu of flowers, memorial contributions in Mrs. Buckley’s memory may be directed to the Cortland SPCA, 879 McLean Rd., Cortland, NY 13045.